Jon is a veteran of hundreds of voice over projects for various advertising agencies, corporations, radio and television stations. His voice has been described as having a “distinct, unique” sound that is definitely not “cookie cutter”. Ranging from: deep, ominous, gritty, tough and resonant, to dynamic, expressive, comforting, warm and friendly. He also has a great “ear” and “hands” in the studio when it comes to producing your project, understanding that timing and inflection are crucial when it comes to your message, bringing “your words to life”. We have used Jon for our agency projects. His service is fast, offers great quality and delivers exactly what we want. Excellent! Was exactly what we wanted. Jon was great to work with! Very thorough and accommodating, definitely recommend! Great job -- again. Fast, affordable, and great quality! It was great to work with you, we will for sure use you for future projects! I am so pleased with your work, Jon. Fantastic job! I am sure I will be returning for more collaborations as soon as the opportunity arises. Thank you so much! I was very pleased with my experience working with Jon. He was fast, efficient and very easy to work with. Look forward to working with him again! Tony Moser - PS Media, Inc.
Jon gets the work done quickly and efficiently, making any edits we need as fast as possible to ensure our clients and media partners get a high-quality product in a timely manner. He’s a pleasure to work with! Jon is the upmost professional who works to get things done the right way. He makes sure we get what we want every time. I especially appreciate how quickly he turns around our scripts, even on weekends! Approved-The client was really pleased! This job is easy when you're working with Jon. 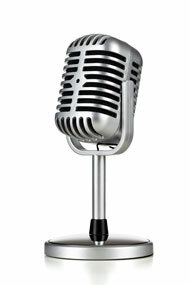 Smooth voice delivery, excellent communication, and service! Our company offers transformational technology, so when looking for a voice, we wanted someone who could tell the story of DripFusion. Jon was the perfect choice for our launch and continues to represent our brand. Thanks for the great voice over and quick turnaround! Jon was superfast and responsive, Great voice, flexible, all around great experience. I highly recommend utilizing this talented VO artist. If you are serious about your project, let's create something great! e-learning/explainer, corporate branding, real estate, phone/IVR messaging and podcasts. Broadcast quality voice overs/tracks with professional editing, processing and e.q., writing, editing, voice to video and PowerPoint overlays, video editing. Click the symbol to begin each demo. My own professional studio, offering a fast/efficient turnaround for your project, usually 24 hours or less. Phone patch and Skype capabilities. If you need a custom demo, please contact and I would be more than happy to provide a “test” read for you. Each project is unique in it’s own way, so, rather than setting a fixed price sheet, please send your details and I would be happy to discuss a plan that works for everyone. Your complete satisfaction is my number #1 goal.